Gail M. Garrison, 68, of Wilson Borough, passed away Sunday, February 12, 2006 in her home. 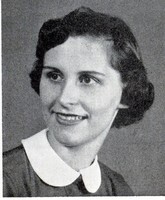 On May 25, 1937 in Easton, she was the daughter of the late Walter, Jr., and Mary Smith Searfoss. Born: Gail was employed as a laboratory technician at Warren Hospital for many years, retiring in 2001. Membership: She was a member of St. Bernard’s Catholic Church, Easton. Memorials: In lieu of flowers, memorials may be made to the American Cancer Society, 3893 Adler Place, Bethlehem, PA 18017; or to the American Heart Association, 212 E. Broad Street, Bethlehem, PA 18018 in Gail’s Memory.